Mirabel real estate makes up 713 acres of secluded homes and pristine desert land. 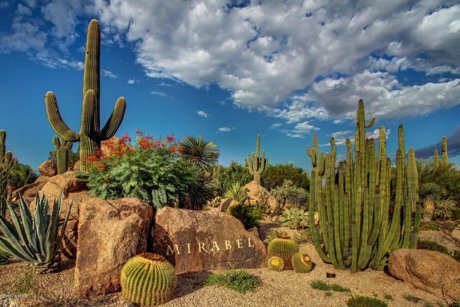 Located in North Scottsdale, Mirabel homes are the choice of many who seek to live a more rural lifestyle in a tranquil setting, located at an elevation of nearly 3,000 feet. 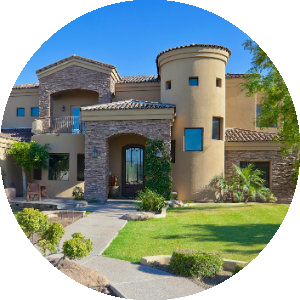 The Mirabel community is encompassed by panoramic views of Pinnacle Peak, Lone Mountain, Black Mountains, and the McDowell Mountains. If you want to live in the mountains and have city light views of Phoenix and Scottsdale, hiking, golfing, unique shopping, mountain air and year-round adventure, this could be the place for you. Mirabel is famous for its Tom Fazio designed 7,127 yard golf, Par-71 course offering challenging golf and spectacular views from every hole. In fact, Mirabel Club in Scottsdale recently was honored by Golf Digest as “America’s 50 Best Modern Golf Courses.” In addition to world class golf, the 34,000 square foot private Mirabel Clubhouse features gourmet dining, tennis courts, a state-of-the-art fitness center, spa and a swimming pool with cabanas. Additionally, there is luxurious private day spa that specializes in massage therapy, skin care treatments, salon services and other innovative and restorative spa services. Golf Membership includes unlimited golf privileges, use of all Mirabel facilities such as health, spa, salon, fitness, swimming and tennis, and extended family privileges for about $1250/month. Golf memberships will be capped at 275 members. Social Membership includes full use of all Mirabel facilities such as health, spa, salon, fitness, swimming and tennis for the entire family as well as extended family privileges for $355/month. Social memberships are capped at 50 members and memberships are transferable. 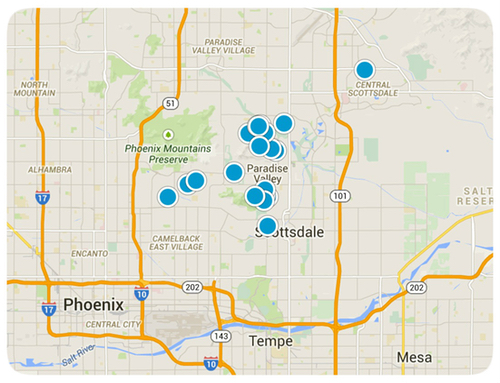 You'll find the very latest homes for sale in Mirabel featured below. This information is updated throughout the day so be sure to check back often! 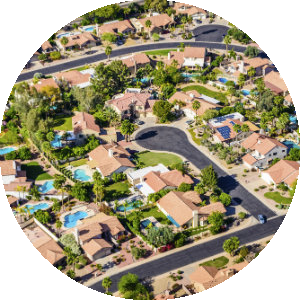 Search the complete inventory of Mirabel homes for sale by price, community amenities, square footage and more using our detailed ADVANCED SEARCH option. See something that interests you? Want more information? 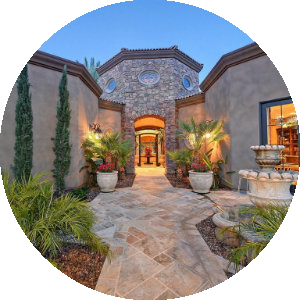 Contact Us anytime to schedule a private showing for any property you find on this site or for more information on the community of Mirabel and all Scottsdale real estate.